This week we celebrate the advent of essays as well as the birthday of Sir Francis Bacon. Bacon was born January 22, 1561 in London, England and passed away at the age of 67 on April 9, 1626. He was a lawyer and statesman, as well as a writer. Due to his interest and work in philosophy and science, he is credited with developing the scientific method. His literary works include Essays, The Advancement of Learning, Novan Organum, and the The New Atlantis as well as other philosophical, scientific and religious and juridical works. Find out more about Sir Francis Bacon with 10 Major Accomplishments of Sir Francis Bacon and a round up of essays and articles by and about Sir Francis Bacon. "Studies serve for delight, for ornament, and for ability. Their chief use for delight, is in privateness and retiring; for ornament, is in discourse; and for ability, is in the judgment and disposition of business. For expert men can execute, and perhaps judge of particulars, one by one but the general counsels, and the plots and marshalling of affairs, come best from those that are learned. To spend too much time in studies is sloth; to use them too much for ornament, is affectation; to make judgment wholly by their rules, is the humour of a scholar. They perfect nature, and are perfected by experience: for natural abilities are like natural plants, that need proyning by study; and studies themselves do give forth directions too much at large, except they be bounded in by experience. Crafty men contemn studies, simple men admire them, and wise men use them; for they teach not their own use; but that is a wisdom without them, and above them, won by observation. Some book also may be read by deputy, and extracts made of them by others; but that would be only in the less important arguments, and the meaner sort of books; else distilled books are like common distilled waters, flashy things. Reading maketh a full man; conference a ready man; and writing an exact man. And therefore, if a man write little, he had need have a great memory; if he confer little, he had need have a present wit: and if he read little, he had need have much cunning, to seem to know that he doth not. Histories make men wise; poets witty; the mathematics subtile; natural philosophy deep; moral grave; logic and rhetoric able to contend. Abeunt studia in mores. Nay there is no stond or impediment in the wit, but may be wrought out by fit studies: like as diseases of the body may have appropriate exercises. Bowling is good for the stone and reins (kidneys) shooting for the lungs and breast; gentle walking for the stomach; riding for head; and the like. So if a man's wit be wandering, let him study the mathemathics; for in demonstrations, if his wit be called away never so little, he must begin again. If his wit be not apt to distinguish or find differences, let him study the schoolmen; for they are cymini sectores If he be not apt to beat over matters, and to call up one thing to prove and illustrate another, let him study the lawyers' cases. So every defect of the mind may have a special receipt." 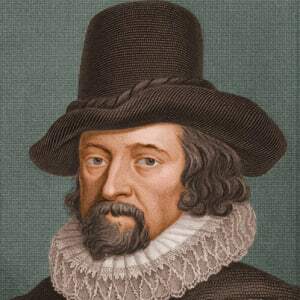 Sir Francis Bacon was responsible for the first works in English to be named Essays. The essay gained its name as a literary form in the renaissance period with Michel de Montaigne, a french writer who called his written conversations essai which means "an attempt" or "to try". Essayist Sir Richard Steele launched the first periodical dedicated to essays in "The Tatler" in the 1700's and later on "The Spectator" which he co-authored with Joseph Addison. In the early 1800's, many periodicals began demanding essays to fill their pages. Soon authors began producing essays such a Charles Lamb, William Hazlitt, followed by American essayists Matthew Arnold, Thomas Henry Huxley, John Cardinal Newman and Robert Louis Stevenson to name a few. Among the British essayists were G.K. Chesterton, Aldous Huxley and Virginia Woolf. Susan Wise Bauer in The Well Educated Mind suggests reading Michel de Montaigne Essays and in the Science section added in the 2016 revised versions, Sir Francis Bacon's Novum Organum. 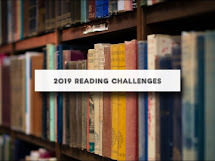 Join me in reading Bacon, Montaigne, or the essayist of your choice during this year. If you'd like to share your book reviews, you may link to your website, blog, Goodreads, Google+, Tumblers, or Instagram page. If you do not have any internet or social media account, please leave a comment to let us know what you are reading. Please do not add links of 52 Books, nonexistent or old web pages. They will be deleted. If your link disappears, please email me if you need to change or update your links. Every week I will put up Mister Linky's Magical Widget for you to link to your reviews. No matter what book you are reading or reviewing at the time, whether it be # 1 or # 5 or so on, add your link to the current week's post. The linking widget will close at the end of each book week.